Document Manager extend the default integration. It works on the top of the default setup. Document Manager offers 30 days free trial with full set of features. Navigate to the AppSource Store and installed it. Choose the subscription plan based on the number of users that are going to use the Document Manager. One subscription plan is related to one Dynamics 365 instance. 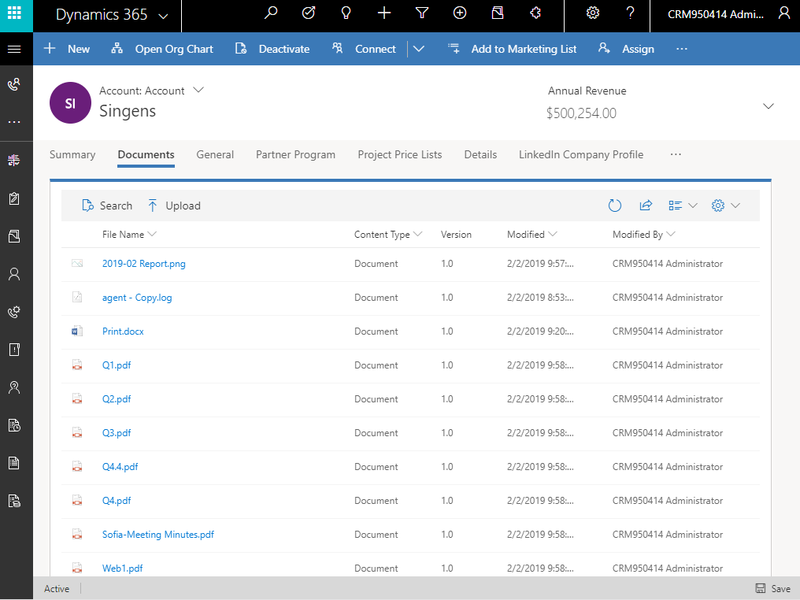 Document Manager is a Dynamics 365 add-in. It is installed per Dynamics’ instance. One Document Manager’s subscription is related to one Dynamics’ instance. You are not limited to the number of Entities where you can configure the Document Grid control. You can e-mail us for any issues or unexpected behavior. We will response in less than 24 hours and depending on the case further steps will be executed. We ship regular updates – new features and bug fixes. Review our Roadmap to see the upcoming functionalities.